In Mid October, We Reported That Monument Valley Will Available On November 6th. The Wait Is Now Over, Monument Valley 2 Is Now Available On Google Play Store. 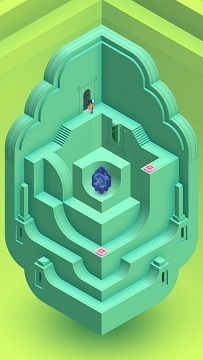 Ustwo Games, Developers Of Monument Valley Today Released The Second Part On Google Play Store. In This Puzzle Game, You Tap, Swap, And Create Path For Your Character. Sequel Comes With A New Story, Beautiful Levels, Puzzles. Size – 239 MB, Price – $4.99, Download: Here. Category – Puzzle Game. If You Have Any Suggestions On New Games, Please Submit-Here. For Game Updates, Like Us On Facebook – MrGuider, Follow Us On Twitter – @techhuntr, Or Get Latest Updates Right To Your Inbox – Subscribe Us.